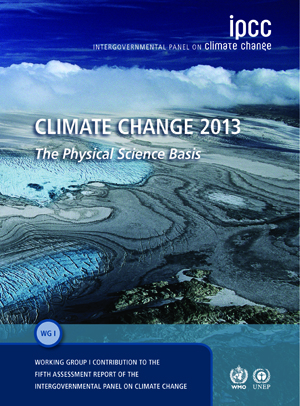 The Intergovernmental Panel on Climate Change (IPCC) presented its fifth report. Instead of the sensation expected by journalists, scientists have unveiled the "quiet" and weighted data. However, the tranquility of experts is not connected with joy at the fact that the effects of climate change should not be feared. Journalists called the IPCC report “calm” – the information submitted by the climate experts was much more specific. The current fifth assessment report was prepared within the new, more stringent rules of workflow, modified after the scandal with errors in the fourth report. The study involved more than 800 scientists, who processed and cited nearly 9.2 thousand scientific papers. The report was anticipated by some media sensationalism. The British tabloid the Daily Mail and some Russian media reported a week before the presentation of the document the alleged "leaked" information that scientists have "concealed" the lack of warming trends. The Guardian referring to the IPCC documents reported that Russia, in its comments on the draft, unexpectedly required to make a statement to that geoengineering - active methods of influencing the Earth's atmosphere or ocean to “cool” the planet - may be "a possible solution to the problem of climate change." The fifth IPCC report for the first time really paid close attention to the so-called "pause" in warming - in the years 1998-2012, the global average temperature hardly rose, despite the fact that the CO2 concentration in the atmosphere grew steadily, and by the spring of this year "broke" the record level of 400 ppm. It is stated that this "break" was likely caused by the natural fluctuations in the climate system, and is unlikely to last for a long time. The novelty of the report is almost sensational ocean data, whose complex system, in fact, can be called the key to understanding the problem and to forecasts. The ocean is associated with the most severe adverse effects of climate change. In contrast to previous works, the report gives a much more specific "schedule" for rising sea levels, whose cause is thermal expansion of water and melting of ice. According to experts, the rise by 1 m is “a matter of time," it could happen by the end of this century. In the 22nd century, the world ocean could rise by 1 to 3 m, and in the rise by 5 to 10 m from the current level is possible during the following centuries. The observed and projected increase in the acidity of the surface layer of the ocean waters is also very alarming. Some Western experts have already criticized the new report, because it does not address the risks related to methane emissions from thawing permafrost. In the end, as Kevin Schaefer of the Colorado University in Boulder (USA) emphasizes, IPCC projections appear conservative and understated. In the model, the IPCC does not include the possibility of rapid destruction of the Greenland and West Antarctic ice sheets and the collapse of the current system of ocean currents. The reason is the same: it is very difficult to estimate the probability. Michael Mann of Pennsylvania State University (USA) considers that the IPCC should not be afraid of low probability, if events are a major threat. Policy makers need to know that such is possible. Myles Allen of the Oxford University (United Kingdom), one of the lead authors of the new report, is confident that the IPCC is bound to be conservative, because there is never 100 percent confidence that the models completely describe the real world. The officials of the Russian climate policy praised the value of the new report. According to Alexander Bedritsky, a presidential advisor and the Special Representative of the President for Climate, the main conclusion of the report is that the warming is observed and is in progress. According to Bedritskiy, "it is supported by more accurate and various data as compared to the fourth report. In particular, the fifth report shows the contribution of human activities and natural factors." Alexander Bedritskiy thinks, that "confirmation of the trend of increasing number of extreme events is important for the whole world, because most of the economic losses are caused by weather and climate hazards." According to the advisor on climate, the trend is also confirmed by our scientists. Very important for Russia are the data of the report on increase of the permafrost temperature. This position is given with a high degree of reliability, virtually 100 %. In the European North of Russia, the permafrost temperature has increased by two degrees over the past 40 years." "We understand that what countries do, including Russia, to reduce the burden on the climate system through energy efficiency, substitution of technology and so on, is working not only for the climate. Direct and fairly clear assessments for the reasons of warming slowing once again give confidence that the strategy chosen by the international community to reduce the load on the climate, to implement adaptation measures, is chosen correctly." Unfortunately, there are no universal strategies and models. However, positive is that the new report gives more certainty. If the findings are recognized by Russian authorities, this could be a major impetus for promotion of domestic climate policy. Additional information: IPCC is a group of thousands of scientists, virtually everyone who works professionally in the field, and every 7 years together preparing summary reports. Following the first volume, the second one will be released in March - Climate change impact on nature, humans and economy, followed in April 2014 by the third volume about the opportunities and technologies to reduce greenhouse gas emissions.